In the last month I’ve been enjoying vacation reads, a book club pick, and the first of my books-in-translation for Women in Translation Month. Since I often read Norwegian and other Scandinavian female authors, I’m going to venture outside my comfort zone for #WITmonth starting with a book from South Korea. 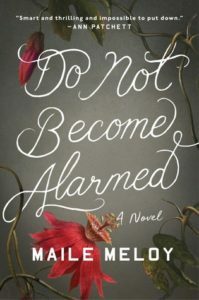 Once again, I’m joining Modern Mrs. Darcy’s Quick Lit link-up where readers share short and sweet reviews of what they’ve been reading lately. This was a favorite of the summer. 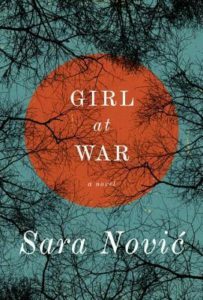 It’s a very moving novel about a young girl and the effects of the Yugoslavian Civil War (1991-1999) on her life. Ana is ten years old and living in Zagreb, Croatia, at the start of the war. She makes her way to America after some horrible war experiences. Ten years later she returns to Croatia for closure. Reading it while traveling through Croatia, particularly along the coast near where Ana spent summers and where the book ended, really brought it to life also. (A fun example, Sara Nović writes about a drink called Cedevita and its importance for Ana’s generation, and we saw it all around and were able to taste it.) It’s hard to believe war took place in this beautiful country not so long ago. I absolutely loved everything about this book! There were so many wonderful characters. Friendships were deep and true. Family was a huge extended network. There was an intriguing mystery. The writing was beautiful. It all made for a fun and easy read, but at the same time there was serious substance beneath it all. I had hesitated reading it because I hadn’t read the previous two books involving the same characters, but then I just decided to jump in anyway. I’m so glad that I did. I’m recommending this to anyone who needs a book recommendation these days. This book was not for me. I finished it but only to see if I could understand why both Reese Witherspoon and Anne Bogel (MMD 2017 Summer Reading Guide) recommended it. 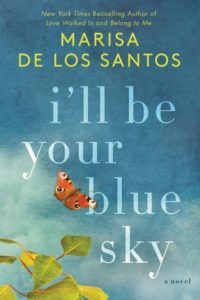 The writing was simple and dull, the characters unsympathetic, and the plot not that engaging. The only interesting thing was that I really enjoyed her middle grade level The Apothecary when I read it while ago and have a hard time believing this is the same author. Luckily, it did fulfill an empty prompt for a reading challenge (a book where the characters are traveling somewhere) so it wasn’t a total waste of time. This was my book club’s latest read. 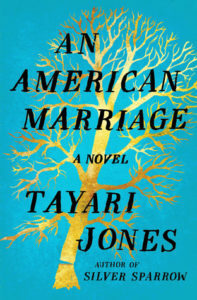 The book is about an African American recently married couple living in Atlanta. On a visit to his parents in a small town in Louisiana, the husband is arrested and sentenced to 12 years for a crime he didn’t commit. My heart went out to the couple in this book, put in this awful and unjust situation. Seeing the story from the three main characters’ perspectives — the husband, the wife, and the friend — added greater depth to the story. I enjoyed the book very much. It was a sad and complicated story with much to think about and discuss. This prize-winning book in translation (Man Booker International Prize, 2016) has been on my radar for a while but not necessarily on my TBR list (due to controversy about the translation not being accurate). However, with August being Women in Translation Month, I decided to go ahead and read it. I knew it was about a woman-turned-vegetarian and her family’s opposition, but it turns out it was so much more. It was a short read, but not a light read. The story was disturbing, at times shocking and brutal, but I’m glad I read it. What was particularly interesting was the structure of the novel. 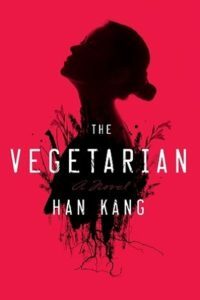 In three parts, each from a different family member’s perspective (first the husband, then the brother-in-law, and finally the sister), the reader followed “the vegetarian” from the time she decided to become vegetarian until the time she was institutionalized. It was a somewhat different take on using different perspectives to tell a story. It was very much a character-driven novel with much attention given to characters’ motivations and mental turmoil. I’m intrigued by Han Kang and have added her book Human Acts to my TBR list. This entry was posted in Books & Reading and tagged #IdRatherBeReading, #readharder, #ReadingWomenChallenge, #WITmonth, #womenintranslation, botm, QuickLit by Patricia Zanuck. Bookmark the permalink. I’ve heard a lot of great things about “Girl at War” and I actually have a copy. Looking forward to reading it! I hope you enjoy it as much as I did. Thanks for stopping by!